This event is intended for coaches and mentors only. Please pre-register for the event. We are having a Kickoff and Team Dynamics clinic on Saturday, September 10, at UT-Dallas from 1:30-4:30. The kickoff will be held in the Cecil Auditorium in Hoblitzelle Hall on the UTD campus — see this map for location and parking. The closest places to park are Lot H and Parking Structure 4 (PS4) on the west side of campus; you can use this parking permit to park in either the GOLD (yellow) or GREEN spaces of Lot H or PS4. To get to these lots, enter from Waterview Parkway on the west side of campus using either Frank Johnson or Franklyn Jenifer drives. The kickoff event is free of charge, but we ask that participants pre-register for the event so that we can communicate event details directly and have an estimate of attendance size. These are introductory meetings/presentations where we go over many things you’ll need to know about participating in FLL this season. Generally there are at least two Kickoff sessions each season (one at UTD and one at FCA). Each coach/mentor only needs to go to one, and it doesn’t matter which one. Rookie and veteran coaches are welcome at both events. These are HIGHLY RECOMMENDED, especially for new coaches/mentors. We will go over exactly how the events and competitions run (rules, policies, what to expect), and there will be Robot Game tables and fields set up with experts there to explain the Robot Game missions and rules. 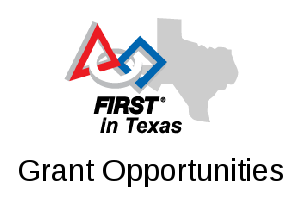 It’s a great opportunity to meet the North Texas FLL community, get your questions answered in person, and figure out exactly what will be happening for us this season.